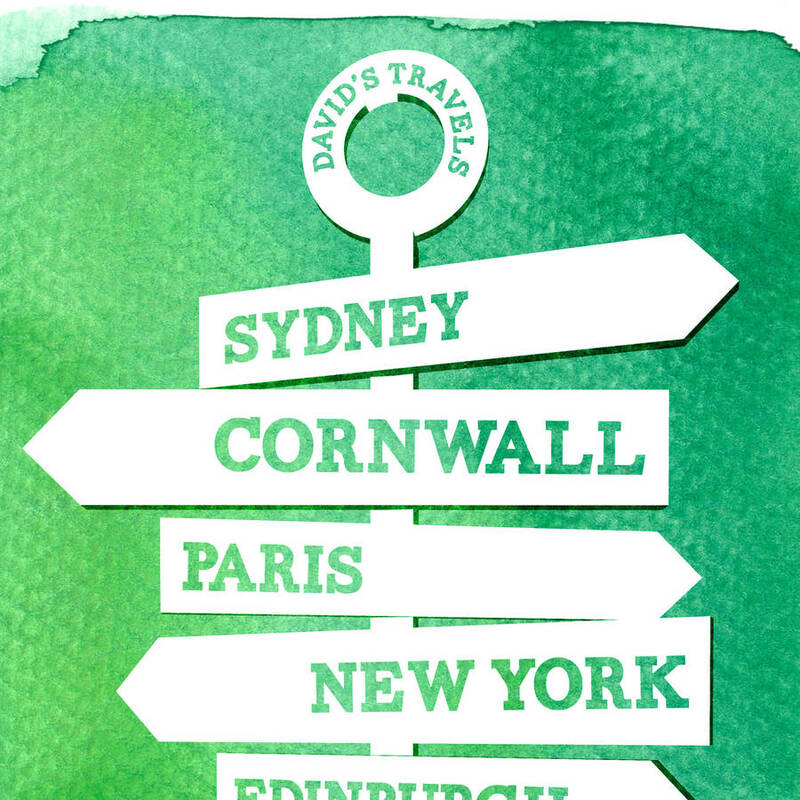 ** 18TH DECEMBER FINAL ORDER DATE FOR UK CHRISTMAS STANDARD DELIVERY ** A fantastic and fun personalised travel themed print, displaying eight special destinations. 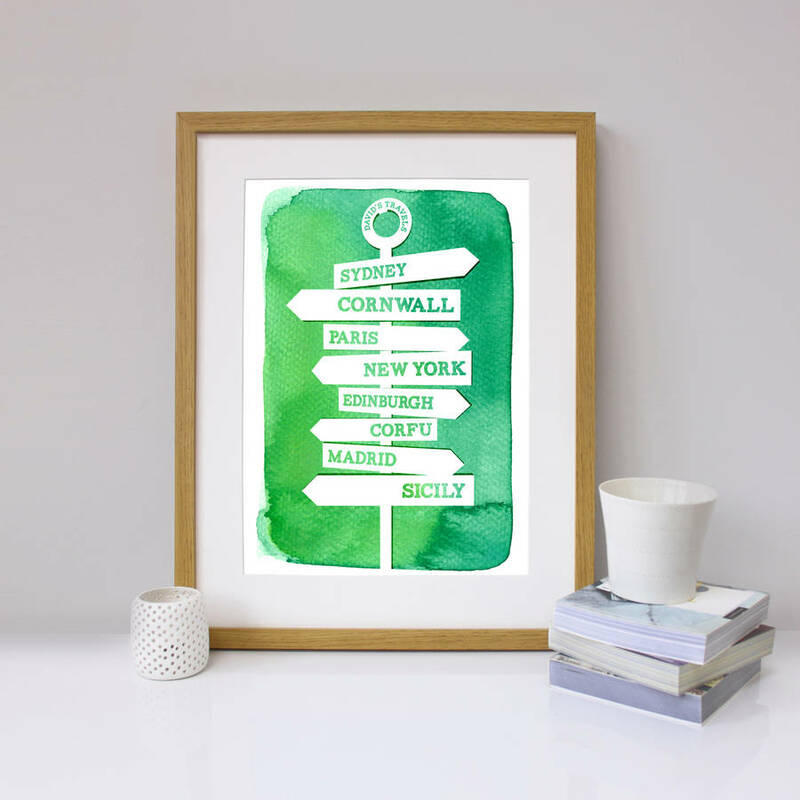 The perfect gift for anyone who loves to travel, this unique print lists eight destinations in a signpost styling, and is finished with handpainted watercolour textures to create a truly one-off piece of artwork. 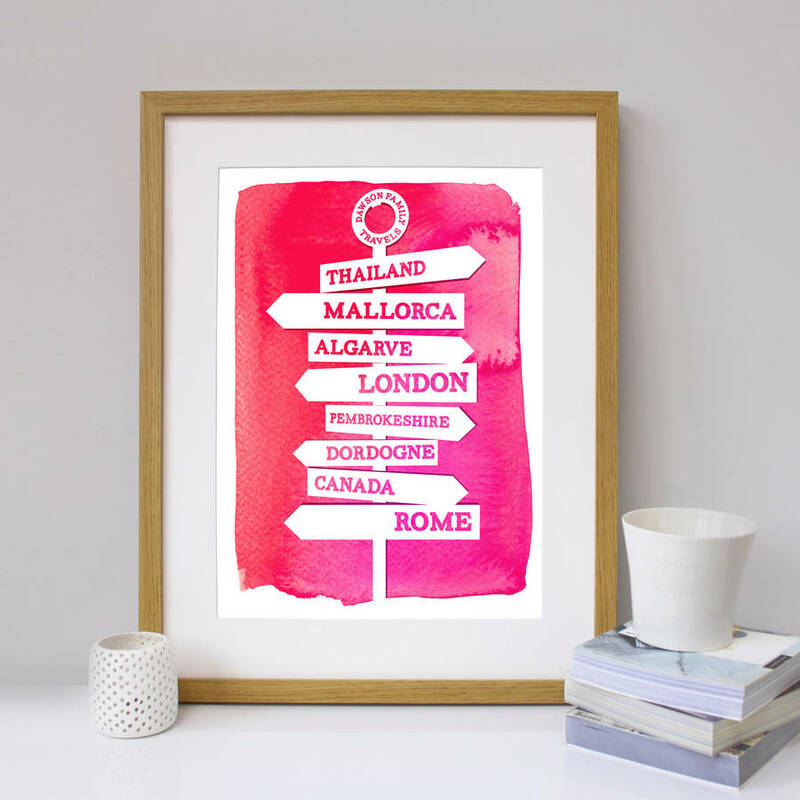 The print could list someone's favourite holiday destinations, family favourite places, stop-offs on a road trip or even a bucket list of places yet to visit. 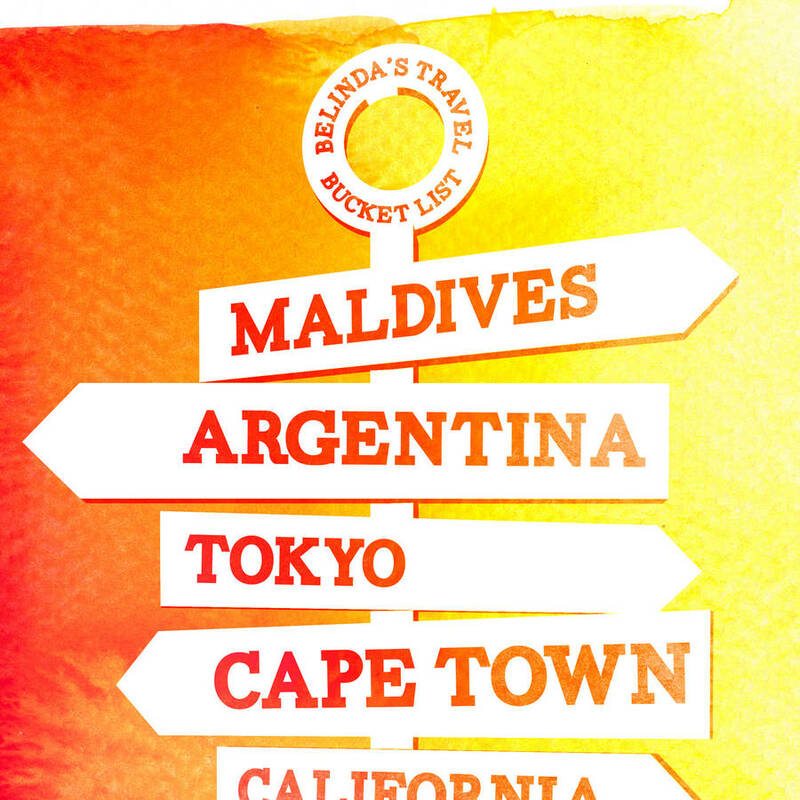 Destinations could be countries. 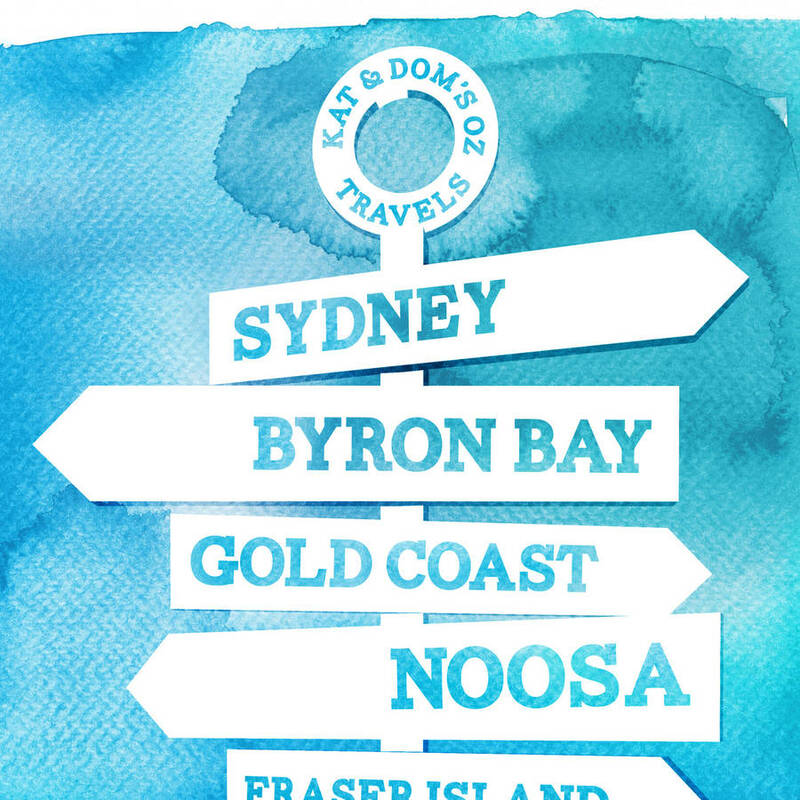 cities, regions, beaches, landmarks, attractions... the possibilities are endless! 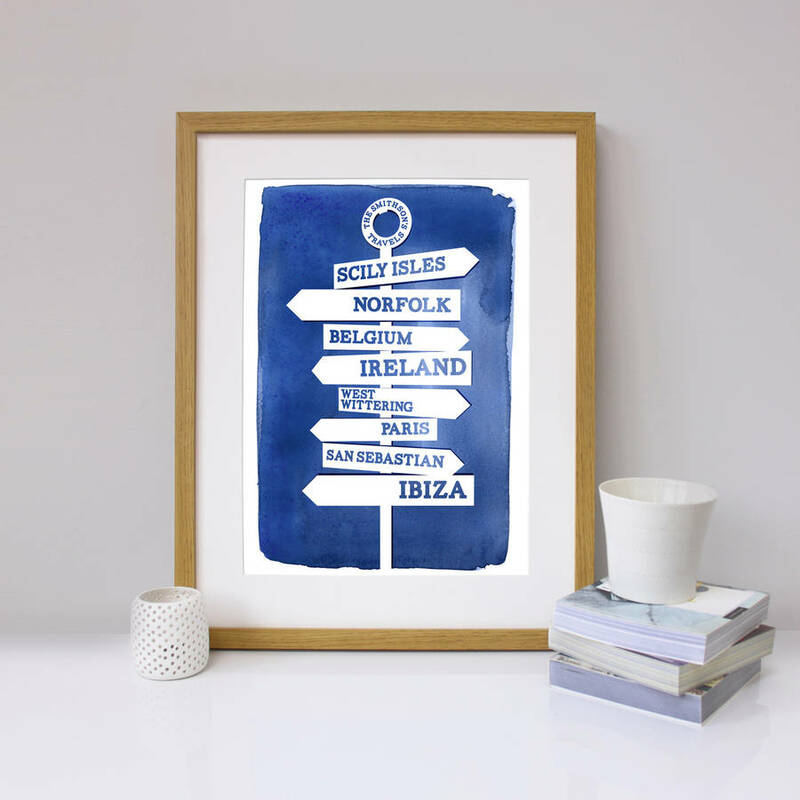 Each print carries a title at the top of the signpost, eg 'Kate's holiday hotlist' or 'Edwards Family Travels' to give an extra personal touch. 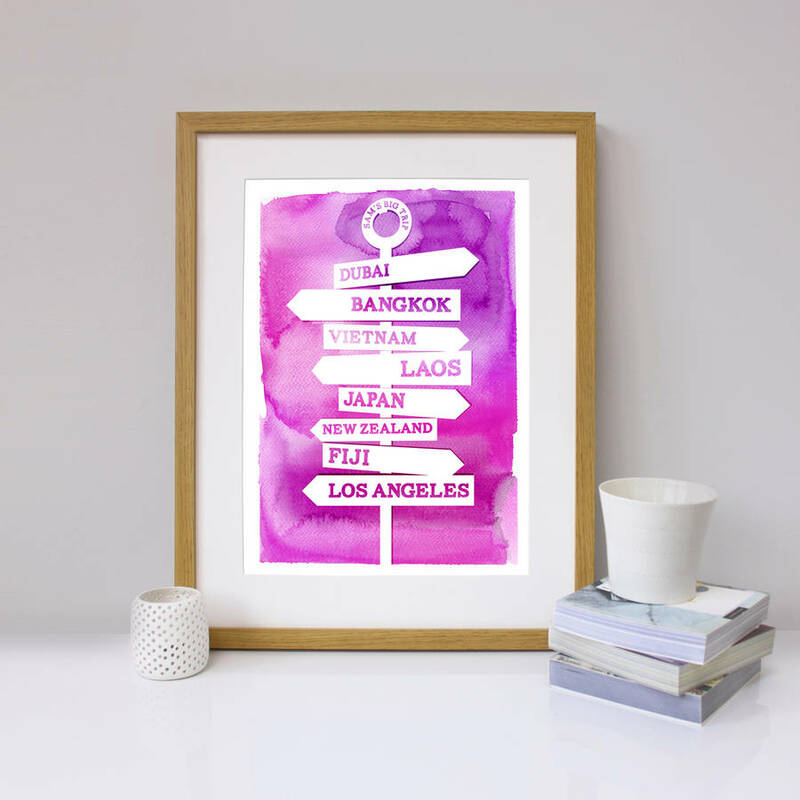 This print is available in six different colours: pink, aqua, green, navy, purple and yellow, in A3 or A4 size. Simply provide Katy with your title and list of destinations and leave the rest to her. 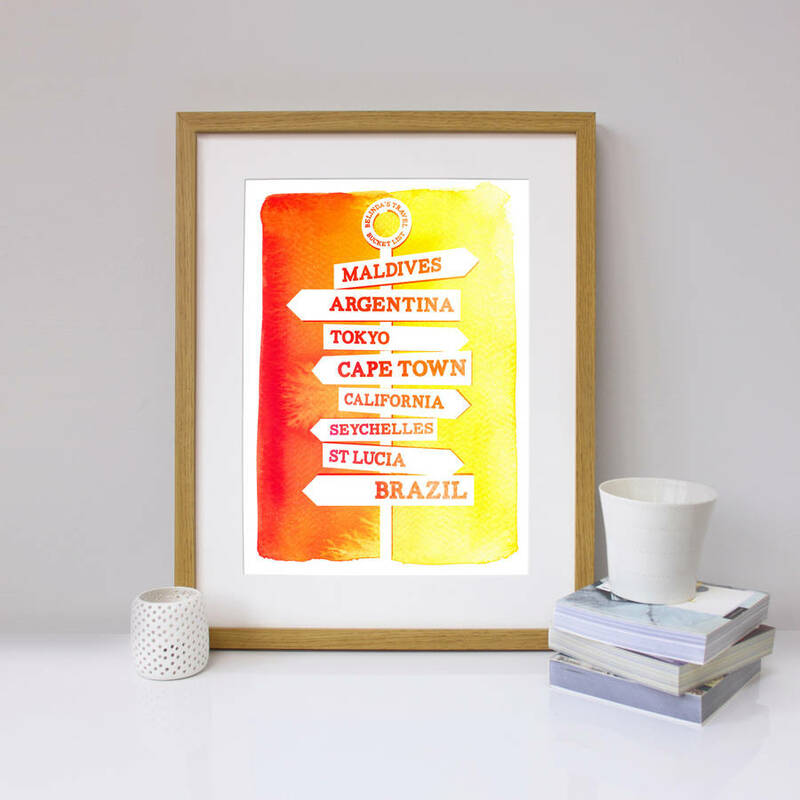 Katy Clemmans wall art prints are giclee printed onto heavyweight 192 gsm matte archival paper, they are of fantastic quality and will last a lifetime without fading. All prints are supplied in a plastic sleeve. A3 prints are rolled and shipped in cardboard mailing tubes, A4 prints are shipped with backing boards in rigid mailing envelopes. 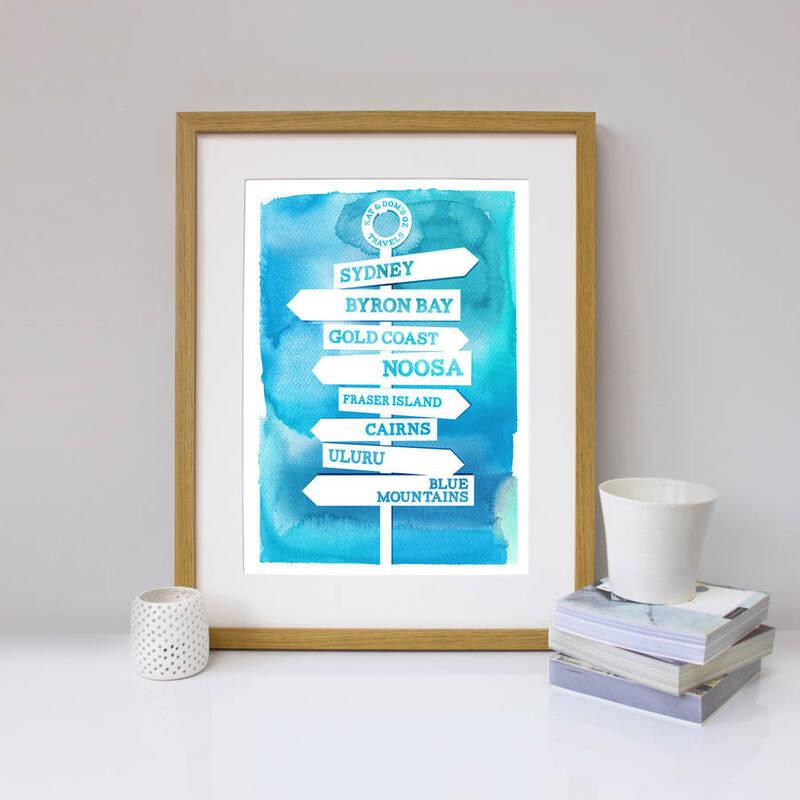 A3 and A4 prints fit standard picture frame sizes widely available. This product is dispatched to you by Katy Clemmans.